Creating an app for your business is going to provide an excellent opportunity to build brand awareness through mobile marketing. The app market for iPhone and Android has been on the uptick for quite some time, and there are no signs pointing to slowed growth anytime soon. Best of all, there are still many niche gaps in the market that have yet to be filled. It is true that there has not been a lot of movement in the Top Ten apps of the major app suppliers, like Google Play and Apple. However, there has been a considerable amount of goings on in the various app categories. On any given day, there are hundreds of apps that have not been done “right” or properly devised for mobile marketing purposes. This is where your window of opportunity comes in. Boot strapping is a buzzword that you are going to hear mentioned a lot in the mobile marketing world these days. Venture capital is becoming increasingly hard to come by, and even engaging in a platform like Kickstarter is going to require a considerable amount of your time. The people who could provide you with the funding that you need, whether it be venture capitalists or midlevel management, are going to wish to see a fully functioning prototype before they allot you the resources that you need to expand upon your app. For most business, this is going to require that their first mobile app be created on a bare bones budget. Consequently, the first stage of creating your own app for mobile marketing becomes putting a working app on the market, rather than dawdling around trying to collect the money to build the working app. Just because your app is the first of its kind in the mobile marketing world does not guarantee that it is going to be a success. However, it is a much better position to be in, instead of being fifth or sixth to the market. In all actuality, being second to market is a nice little position to be in. Being second to market is going to provide you with the opportunity to learn from the successes and the failures of the first to market app. Still, you want to ensure that you do not enter the mobile marketing world too late, or you are going to have difficulties establishing a following. Even though you have a superb idea, sitting on it until it has been perfected is not going to bring about the success you are looking for. Luring a potential client away from a competitor who has already established themselves in your niche market is going to be incredibly difficult. Unless they are just flat out unhappy with the app they’ve been provided, once they have paid for that app, they are going to be unwilling to pay for another app that essentially performs the same functions. 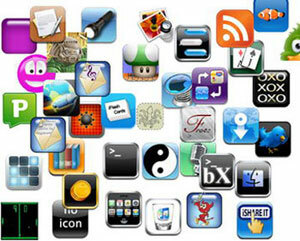 It is in your best interests to get your app to the market quickly. The more quickly you get your app to market, the more quickly you are going to be able to begin making improvements. This statement might sound absurd to you, but take a moment and think about it. Users of your app are going to provide you with feedback. In turn, you can then take this feedback and funnel the information into making improvements. Feedback is a great thing to have before you begin making expensive changes to your existing app. An ideal method of going about this is to put your working app for free on the market quickly to being gathering a fan base. Once you have developed a following, the feedback you’ve received can then be funneled into making changes for the paid version of the app. This is a low cost method of building a wonderful app, and you do not have to worry about the additional expenditures of interviewing a focus group. Developing a great app on a shoestring budget may seem impossible, but you can teach yourself how to do it, or you can opt to use a service, like Odesk or vWorker, to put you in touch with individuals who can make it for you for reduced fees. Just don’t wait another day to harness the power of mobile marketing for your business.